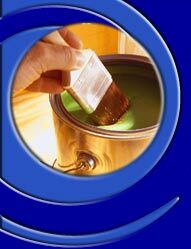 The interior or exterior painting of your home can be daunting. Following the simple steps below can make it less overwhelming. Step 1: Select a licensed and insured contractor who has been in the business for awhile. There are contractors who "try a hand at it" one year and are on to something else the next. Step 2: Determine which areas of your home need attention. Painting is just one part of the process. The prep work your painter does is the most crucial part of the job. Exteriors may have to be scraped of peeling paint and pressure washed to remove mildew and grime. A pressure washer in the wrong hands can do serious damage to wood surfaces and washing the second story of a house is dangerous for the inexperienced. Interiors may also need cleaning, removal of soot and nicotine, spackling repairs, etc. Step 3: Decide what color paint or stains you want to use. Ask for guidance from your contractor. (S)he can obtain color charts to assist you, but more importantly his or her knowledge and experience can guide you in the right direction. Step 4: Ask your painting contractor to inspect the site and quote a price. Be sure all specifications are agreed upon: areas to be painted, number of coats, repairs, pressure washing, etc. Step 5: Be sure a contract has been executed. It should specify the work to be done, total cost, payment schedule, start date, and estimated completion date. Sept 6: Relax! If you have followed the last 5 steps, the rejuvenation of your home should be a rewarding and hassle-free experience.